RICH WILLIAMS is the Drivetime host for ‘Heart Yorkshire’ as well as the matchday host for ‘LUTV Live’ on matchdays. Previously, he did the pitch announcing at Elland Road for three seasons. He's also a winner of the Commercial Radio Presenter of The Year Award. What is your earliest memory of Leeds United - when did you start going to watch them live - and with whom? Earliest memory was really around the time we won the First Division title. After that I started going to some games with my dad. First one was against QPR. It ended 1-1. Gary McAllister had a free kick disallowed because he’d taken it before the ref blew his whistle and when he re-took it, he hit the bar! I remember vividly walking up the steps of the West Stand to the old wooden seats and seeing the pitch and the crowd under the floodlights for the very first time. magical! If you could play just your music on your radio show what would you have us listen to on our way home from work? Ha – obviously, every song I play I love!!! No, seriously, my favourite kind of music is old-skool jazzy hip hop. Think Jurassic 5, The Roots. I also love the likes of (Eric) Clapton, (Paul) Weller and Newton Faulkner. If you had to choose a favourite Leeds United player (past or present) who would it be? It has to be Tony Yeboah. He was the first Leeds United striker that I loved! The goal against Liverpool was just something else. Absolute screamer. And I remember watching from high on up in the East Stand when he scored against Birmingham in the ’96 league cup semi-final. But there have been so many great players… I feel bad picking just one! This has been an exciting season to date. Did you expect bringing in a coach so highly rated as Marcelo Bielsa would transform our club so much as it has? I don’t think anyone could have expected such a transformation so quickly. Cleary a man of MBs stature was going to change things dramatically, but it was so evident how quickly his work had taken effect. Even in pre-season when he was moving Kalvin’s (Phillips) position and everyone was wondering what he was doing with him! But really, the fact that they came out in the first game against Stoke and just played superbly; that was when you knew something special might be happening! When you were the pitch announcer at Elland Road did you have any pitch-side interview that you remember, good or bad? Are you a social media ‘obsessive’. Could you manage without your mobile phone or computer for 24 hours for instance? I am definitely on my phone way too much! Sometimes during a game, I end up getting my phone out to take a picture or tweet something and I have to stop myself. There’s a strange balance these days between people watching a game and watching a game through their phones to capture ‘the moment’. You’ve certainly met many Leeds United legends in your role as LUTV presenter. Have any really stood out and impressed you most? My favourite interview was outside the new Legends Club in the East Stand with Lee Bowyer, Nigel Martyn and Ian Harte. Three players who were so instrumental in that incredible period for Leeds and there they were, right there in front of me, chewing the cud over those amazing games I was so fortunate to watch back in the day. If you had to choose a favourite radio personality that you admire and respect, who would it be? It would probably be someone from the world of talk radio; Nicky Campbell. He has an incredible ability to allow people to have their say without interrupting. He simply allows the conversation to flow whilst at the same time being unbelievably knowledgeable. What are your views on Safe-Standing. Do you think clubs should have the opportunity to provide standing accommodation to their supporters at all matches in the top 2 leagues so they have a choice? I was lucky enough to host an event at the new stadium in St Petersburg before the Confederations Cup Final in 2017. All I can say is that they had safe standing there and it was brilliant. So, I guess, if done right it can be good. If you met the teenage Rich Williams now; what would you say to him? Just you wait until summer 2018 – some fella named Marcelo Bielsa is going to make you very happy. Oh, and your haircut is not good! If you could interview anybody within sport, music or politics which 3 people would it be (one from each category)? Usain Bolt, Liam Gallagher and Bill Clinton. We’d have a right good natter. If money was no object who would you like the club to sign and play for Leeds United? Harry Kane – mainly because my 6-year-old son would be a very, very happy boy! Finally, Rich; IF Leeds United get promoted (I know!) 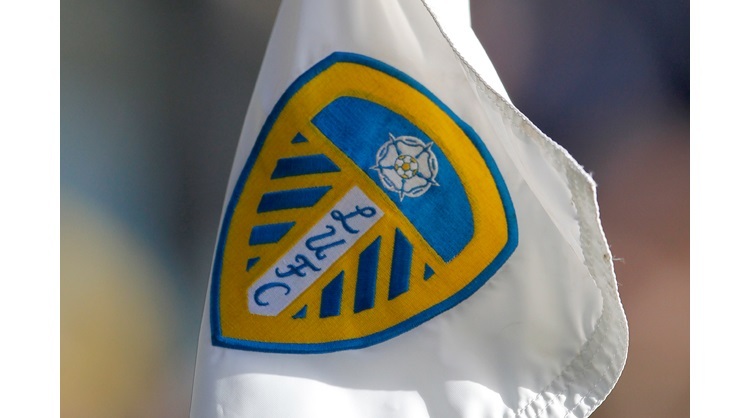 which Premier League club and player would get you most excited about seeing live at Elland Road and why? I would love to see a full-strength Manchester City team in the flesh. Sergio Aguero has to be one of the best Premier League players of all time. majestic footballer.